Are you unsure of which corrugated PVC roofing sheets are the perfect choice for you? Are you uncertain of which fixings and flashings you'll need with your PVC corrugated sheets? Speak to our team online via the live chat in the lower right hand corner or call us on 01295 565 565. We will help you find the perfect sheets for your project and will ensure you have all the roofing materials you will need. Corrugated PVC roofing sheets are ideal for roofing projects where durability is essential and you require a good level of light to pass through. They do this by combining a corrugated form factor and innovative synthetic plastic polymer. Our range of PVC corrugated sheets are suitable on pitches between 5° and 90°. 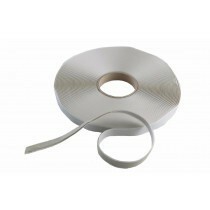 This is due to their lightweight nature and accompanying fixings, which are also available from Roofing Megastore. 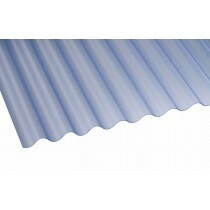 You'll also find PVC corrugated sheets in a selection of colours, such as clear and translucent. For added assurance, you'll find that many of our PVC corrugated sheets offer a gurantee of up to 10 years. This allows these roofing sheets to adorn your carport, porch, plant house and lean to extension for many years to come with little maintenance. 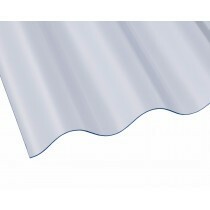 Have Questions About Our PVC Roofing Sheets? If you have questions about our range of PVC roofing sheets, speak to our team by telephone or via the online chat. With over 40 years of experience in roofing, we'll help answer your questions about PVC panels. We will also help you pick the necessary fixings and flashings for your project.